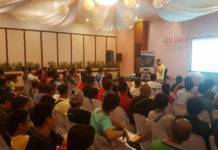 Before touching down in Singapore, DigiBird had kicked off its first-quarter tour with training programmes in Beijing and USA and seminars in the Philippines and finally in Singapore. 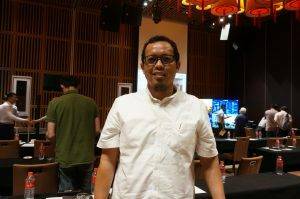 The seminar in Singapore was the 4th annual edition that attracted around 30+ delegates who were mainly SIs with a sprinkling of end-users. 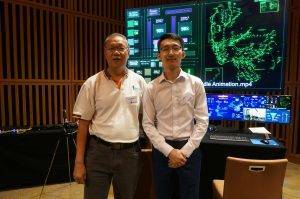 Hosted by Singapore’s Digibird distributor, Simply Connect, the event kicked off with the company’s Director Tan Kong Ming giving a brief introduction about KVM Technology, which is heavily used in Command and Control centres. 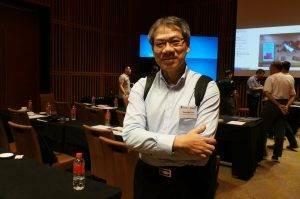 This was a precursor to the introduction of the Fiber-based KVM solution by DigiBird which was presented by Bill Qi, Sales Director of DigiBird. The DigiBird UniStation was launched three years ago is an all-in-one hardware with built-in video wall controller and KVM switcher together. The solution helps cut down the multiple keyboards and mice that operators use. It enhances resources security and operator’s collaboration between workstations. With UniStation(pictured) all resources including KVM and audio can be displayed, consulted and manipulated on the operator’s monitor and videowall by one mouse and keyboard set. The fiber optical matrix switcher is capable of integrating up to 640 x I/O ports (customised), to meet the demand of ultra-scale system. Because resources are transferred over fiber optical, it eliminates image degradation. UniStation supports instant switching of resources among different computers without blank intervals. The user can push the resources to another work station for instant collaboration instead of moving the seat physically. It is also multiple OS compatible which means the mouse cursor can easily slide between computers with different OS systems. Multi-level access management ensures that specific staff are given appropriate access. The UniStation system constitutes the Optical Matrix Switcher and transmitters and receivers. 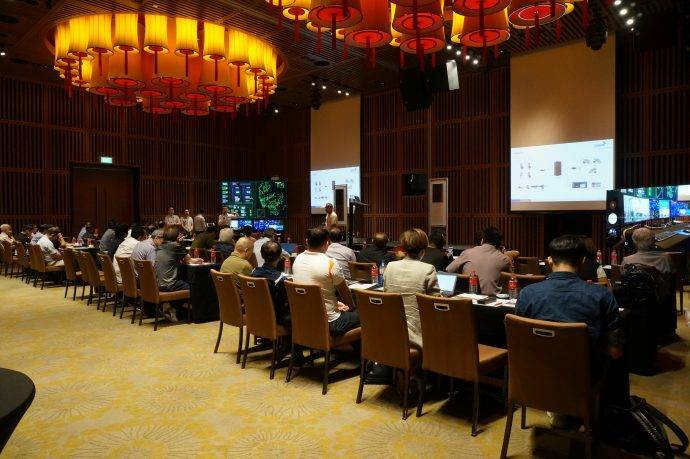 Delegates were also introduced to the H4 and M4 Video Wall Controllers and DigiBird’s Darwin Multimedia Interactive System (DMIS) all-in-one control system with Live Preview. 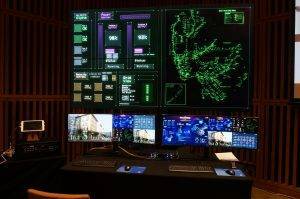 The DMIS is a newly released control system designed to manage various pro-AV devices within an interface via IP or serial commands, to make the management of Command and Control centres as simple as possible. All IP and command controllable devices, including video system, audio system, lighting and environment can be integrated into DMIS and managed within one interface. The unique Live Preview feature allows live preview of all input source contents and video wall displaying, live preview of audio pressure status, volume and mapping relationship and even preview of light on/off, temperature and display device on/off.